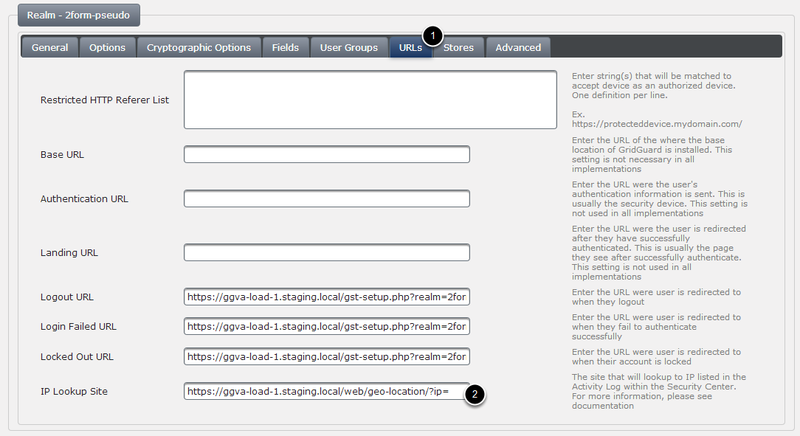 Provides information on how to setup page customizations to display geolocation information for an IP Address. This page is displayed when the user clicks on the IP Address field in the Recent Activity section of the Security Center. Repeat as necessary for all the realms. When the user clicks on the IP Address link in Security Center, a page showing the following information should now be displayed in a new window/tab. - The page template uses geo-location data provided by freegeoip.net. You will need to configure your firewall to allow the GridGuard server to send http requests to this service. 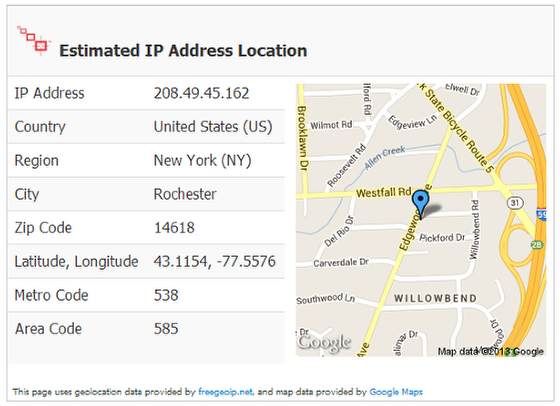 Alternatively, you can host your own geoip service. For instructions on how to setup your own service, refer to the freegeoip.net website. - The page template users map data provided by Google Maps. Customize the template as necessary to use and alternative mapping service or to remove the map from the page.